A former South Florida Water Management District board member says she's been harassed and bullied. Melanie Peterson is the former Vice Chair of the board. She resigned at the beginning of the year after serving more than four years on the board. 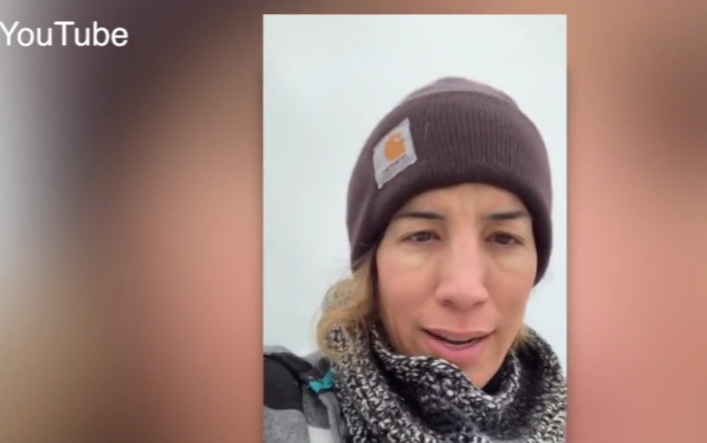 This past weekend she posted a video on YouTube after she claimed she received a call from a man telling her he hoped she would drown in the polluted waters she caused. OKEECHOBEE COUNTY, Fla. — A former South Florida Water Management District board member says she's been harassed and bullied. Melanie Peterson is the former Vice Chair of the board. She resigned at the beginning of the year after serving more than four years on the board. This past weekend she posted a video on YouTube after she claimed she received a call from a man telling her he hoped she would drown in the polluted waters she caused. "I’ve had it with this nonsense," said Peterson in the video. WPTV reached Peterson by phone Monday. "I still feel to this day that we did amazing things," said Peterson of her time on the board. The SFWMD board has been in the spotlight since early January when Gov. Ron DeSantis called for the resignations of every board member. Peterson said she blames U.S. Rep. Brian Mast for the threatening calls and emails. "For his rhetoric and his bullying," said Peterson. On Monday, Rep. Mast responded during a news conference in Stuart about water releases from Lake Okeechobee. "I have never called for anybody to go and make any personal attacks to any of these water management board members," said Rep. Mast, who's been critical of the board, especially after a last-minute approval to lease land to a sugar company needed for a reservoir south of Lake Okeechobee. "I don’t think, in my opinion, they were being accountable," Rep. Mast said of the board. WPTV reached out to other board members to see if they’ve gotten similar calls or emails. Jim Moran, who represents Palm Beach County, said he's received what he calls "nasty" emails.